Ultra Luxurious Living, Now Open.  Live tranquility in highly coveted Cambridge and explore the best of Boston at Hanover Cambridge Park. Our elegant luxury apartment community is within walking distance of MBTA's Red Line Alewife Station, taking you to downtown Boston in just 25 short minutes. Our spacious units feature top-of-the-line finishes such as tall ceilings with accent color walls, frameless cabinets with bar pulls, large windows, and stainless steel appliances. Our lush bathrooms boast tile flooring, stone countertops, framed mirrors, and soaking tubs with select units featuring a separate glass-enclosed shower. Residents enjoy exclusive use of professionally landscaped courtyards with a resort-style swimming pool, cabana seating, BBQ for outdoor grilling, and a firepit/leisure area. With convenient access to the entire Boston metro area, as well as nearby Fresh Ponds many trails and fresh lake, there's no better place to call home than Hanover Cambridge Park.